Facebook theme is very popular on web more over query in blogger theme are best Facebook theme, Blue color theme like Facebook, Facebook templates for blogger, so each and every blogger and might be aspect to apply Facebook theme in your blogger blog. As well as it’s good for business also. Use Facebook theme motto behind it that create brand or publicity easily of own blog or website over internet without doubt. 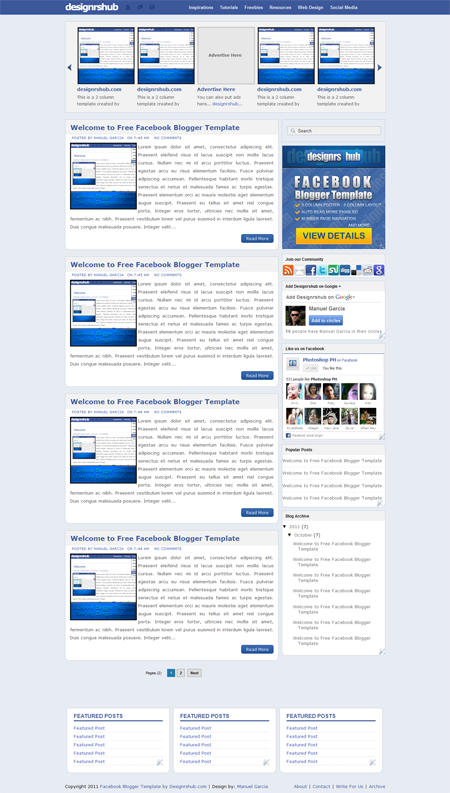 Here I tried to gives best source of Facebook blogger templates. You can use it after download and install in from your blogger dashboard. 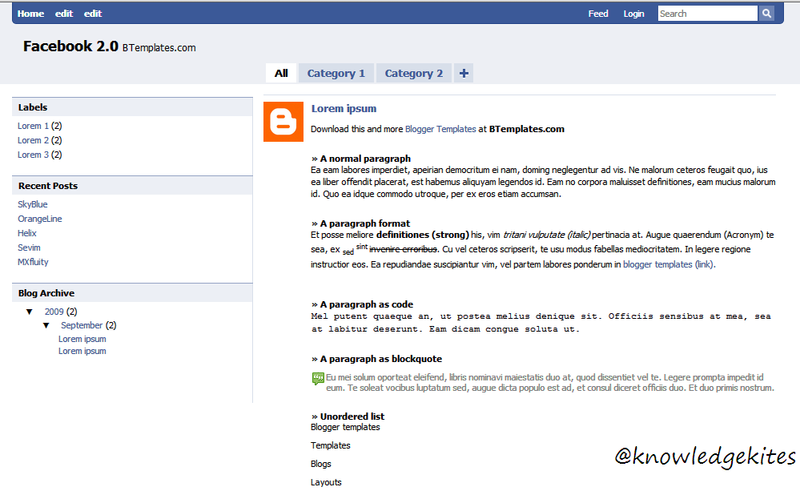 Open source Btemplates gives facebook blogger templates in free. For demo templates click here and download from there in your browser. Don’t miss: How to install blogger templates from your blogger dashboard? Overall good user rating should be keep happy to you in futures with this template. Designershub designed Facebook theme with very well done job to create same a Facebook look likes theme. Thanks to designrshub. You can download This Facebook blogger theme from here. For more queries related to download links and another troubleshooting helps kindly stay your speech in below comment box. We will be glad to assist you.